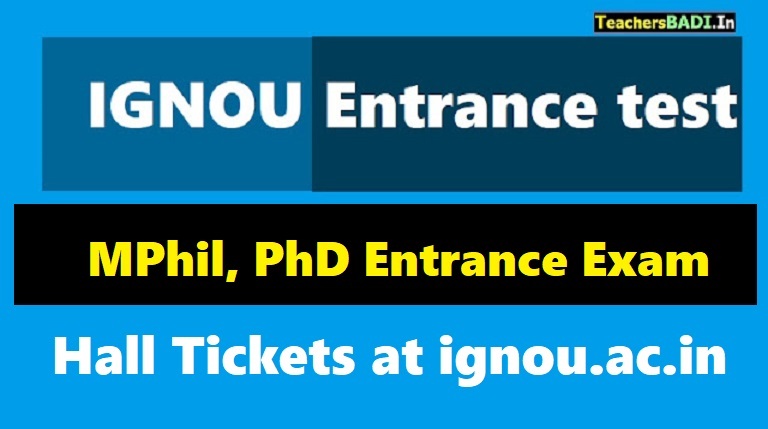 How to download IGNOU MPhil, PhD Entrance Exam 2018 Hall Tickets? As per the official website, any request for change of examination centre will not be entertained. The IGNOU MPhil, PhD Entrance Exam 2018 will be held from 10AM till 1PM, at IGNOU exam centres in Ahmedabad, Bengaluru, Bhopal, Chandigarh, Chennai, Delhi, Guwahati, Hyderabad, Kolkata, Lucknow, Mumbai, Thiruvananthapuram and Patna. Candidates must carry the Hall Ticket along with a photo Identity proof to facilitate easy verification process. IGNOU has also released the list of candidates who are eligible to appear for the entrance examination. The same can be accessed on the official website.